I hadn’t had such a hearty appetite since Chubby Cheeks left. Perhaps it was because my friends made me forget about him for a moment – but only for a moment. I told my friend I don’t think I want to date anyone for the rest of my life–Chubby Cheeks is the one and only–and he said, “Don’t be silly! You look fabulous now, your jawline is getting defined, you should make full use of your pretty face.” He knows how to cheer me up. We three ate so much! 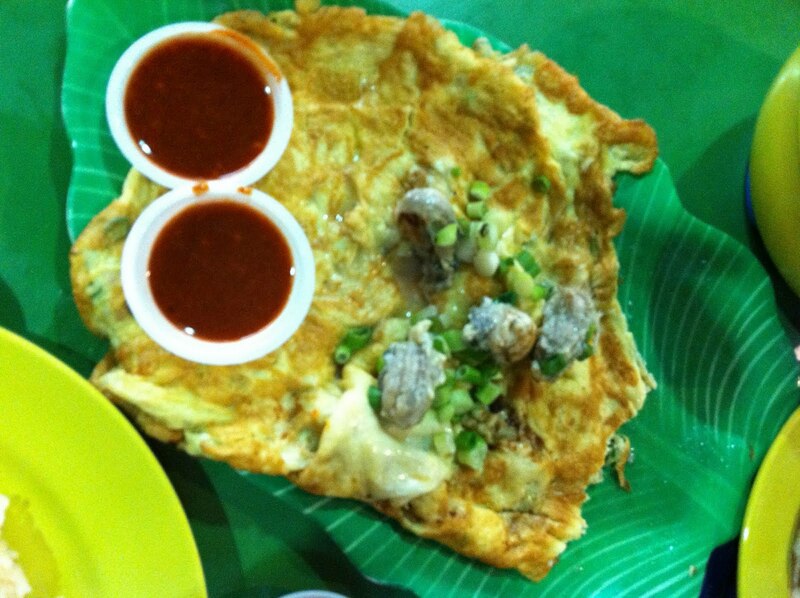 Half a chicken with rice; vegetables in oyster sauce; popiah and oyster omelette. 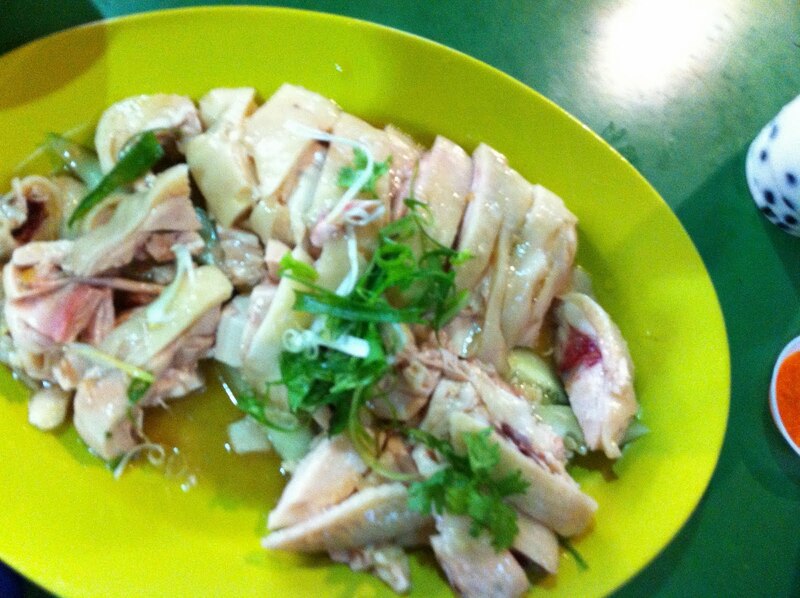 I did a review on Tian Tian Hainanese Chicken Rice before on HGW. I am still not a fan of chicken rice. Chicken rice is chicken rice – how good can it get? Even the buttered rice didn’t taste as fragrant. Don’t get the vegetables in oyster sauce. It was plain and unfresh. I LOVE the popiah here. My friend said that his uncle’s shop does it better, but not having eaten there, this popiah trumps even the West Coast Market one. The ingredients were ample; the inside was wet, yet the skin remained dry and firm. Love the crunchy, sweet peanuts. An overall win. 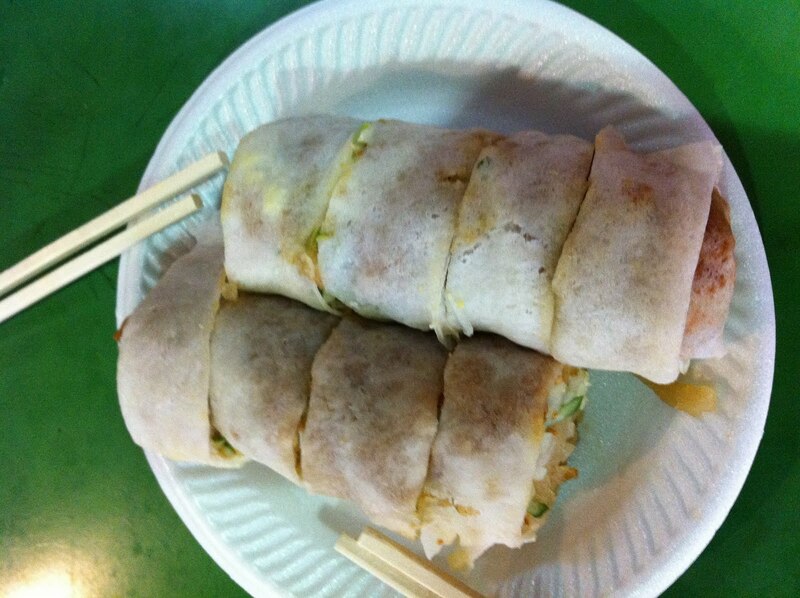 The name of the shop is simply “HOMEMADE SPRINGROLL”; it shares the same shop space with a muffin-seller, which looks good too. I think the unit number is #92; it is a few shops away from the organic soya Bean In A Cup. At first, when I saw this, I was quite angry because it was $8 and had only 4 oysters??? But the rest of the oysters were shy, hiding inside the egg. My friend said that this was the best dish. I had better Oyster omelette but compared with the other stall in Maxwell Market, this stall is better. Not very fantastic, but edible, no complains. I didn’t take note of the name, because I was angry, but it is on the same row as the huge porridge shop. I love eating like this. This should be the way, when you eat, you eat. Some girls and gay men, they only think of calories and not want to eat this or that. What spoilsports.